SD Events have organised a Mixenden Fun Day at Mixenden Activity Centre, Clough Lane HX2 8SH on Saturday 18 August, 11:00am-4:00pm. This FREE event will be fun for the whole family with the day filled with events, performances and activities for all ages. 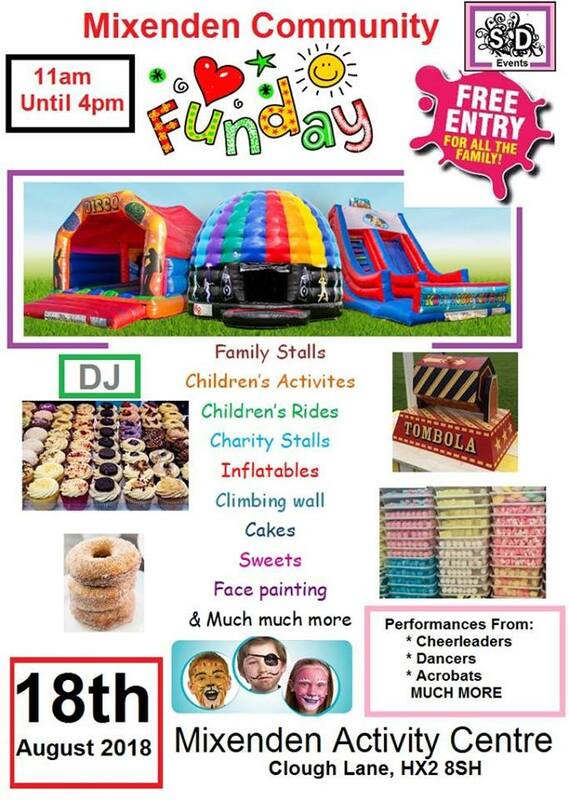 With a bouncy castle and other inflatables and stalls of all varieties including hair bows and clothes, Avon, sweets and cakes as well as games and food and drink. You would be mad to MISS IT !!! !